Inside: Natural hair care doesn’t have to be complicated! 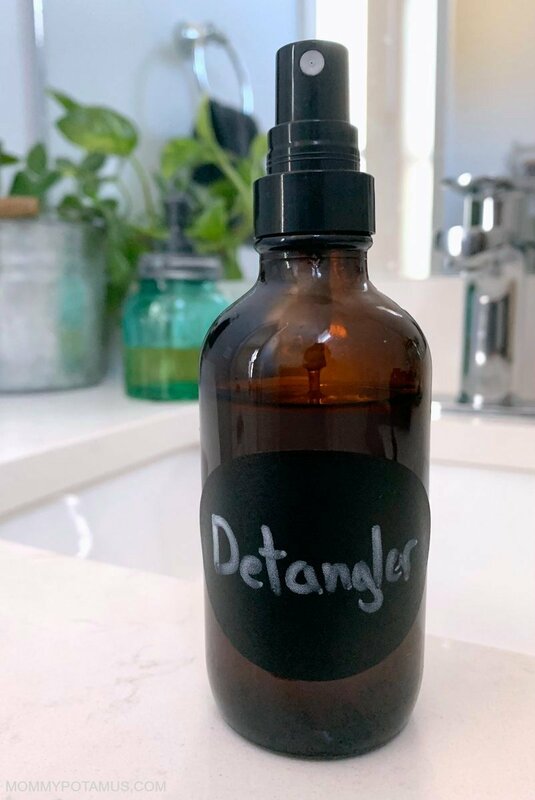 Here are three homemade hair detangler recipes that are inexpensive and simple to make, plus what to buy if you don’t want to make your own. Has your mother ever threatened offered to shave your head? Mine has. You guys, this is a woman who didn’t raise her voice when I wrecked her bought-that-very-day car when I was sixteen and made pancakes for my college friends at 2am while we studied. She’s practically a saint, but when I was little, brushing my hair would nearly bring her to her wits end. One night, she gently, uh, offered to just shave my head. Now that I’m a mom, I get it. It’s no fun to watch your daughter shed tears over tangles. I tried different brushes and combs which definitely helped, but it was still something my daughter dreaded. Then I remembered the detangler my mom eventually found – YES! And nooooooooo. I mean, have you seen the ingredients in this popular children’s detangler? Fortunately, there’s natural solution that works, and you may already have the ingredients to make it! 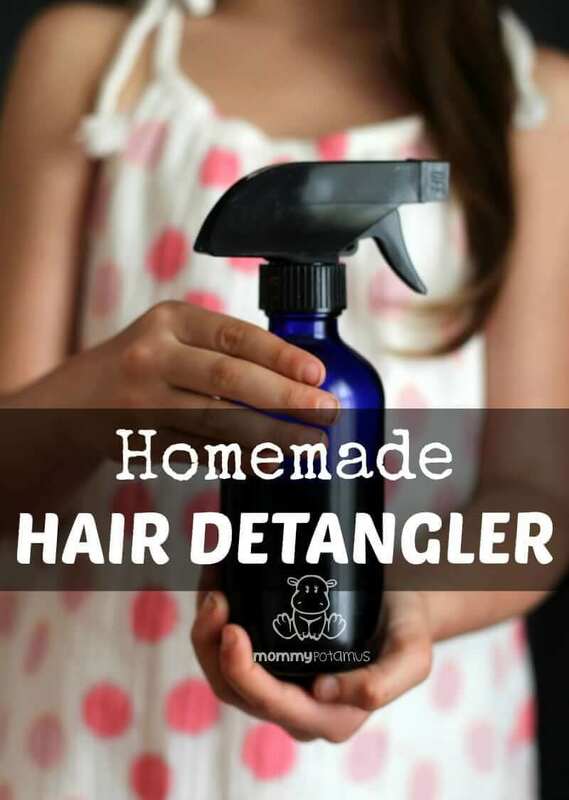 Or actually make them, because there are several ways to whip up a detangler. You’ll find the recipes below, along with better store-bought options if you don’t want to DIY. The first two recipes I’m going to share with you are alternatives to the synthetic polymers mentioned by Dr. Helmenstine. The last recipe works using a weak acid (apple cider vinegar) to smooth the cuticle. Though I wish they were, none of these formulas are miracles in a bottle. However, they do make the process easier without leaving hair greasy. This brush works wonders on tangles, especially when combined with the detangling recipes below. As the quote from Dr. Helmenstine I mentioned earlier explains, some detanglers smooth hair by coating them in polymers. Even some DIY detanglers take this approach by using diluted conditioner, which also usually contain polymers. I’m not a fan of this approach because – as I explained in my post on gelatin masks for strong, shiny hair this only makes the hair **look** healthy – in reality it’s doing the exact opposite. Silicone blocks moisture from reaching the hair shaft, which can cause strands to become dry and brittle over time. Other polymers such as dimethicone have similar effects. Fortunately, there’s a better way to coat the hair – mucilage! Mucilage also helps coat and protect an irritated throat (see my sore throat tea and sore throat spray recipes), ease heartburn and stomach aches, improve gut health and more, which I love because it means that marshmallow root – the mucilage-rich herb in first recipe below – can also be used for other purposes. If you want to see what else you can make, here are seven uses for marshmallow root and how to prepare it. Now back to hair. This stuff works amazingly well, but it doesn’t smell awesome. For that reason, I definitely recommend using essential oils with this formula. Though completely optional, essentials are a wonderful addition to the marshmallow root recipe. Not only do they have properties that benefit hair, they smell amazing. Add marshmallow root and water to a small pot and bring to boil, then reduce heat and allow to simmer for 15-20 minutes. Remove from heat and allow to cool for another 15-20 minutes, then strain using cheesecloth. Add essential oils and oil to the vinegar and allow to sit for a few minutes, then stir vigorously. Add the marshmallow root to the vinegar mixture and pour into a spray bottle. Shake well before using. Spritz onto dry or wet hair, then comb through. I think the thicker gel works better, so I just spray in the stream setting and then smooth over the hair. Allow the detangler to soak into the hair for 1-2 minutes, then comb through. Store in the refrigerator. Because it doesn’t not contain any preservatives, I make small batches and use within about a month. This recipe is great because it uses ingredients that are easily accessible. I don’t think it works quite as well as the marshmallow root recipe above, but if you need something quick it’s a great option. Add seeds and water to a small pot and bring to boil, then reduce to medium heat and allow the seeds to continue cooking for 15-20 minutes, stirring often. Remove from heat and strain seeds through a fine mesh sieve or a pair of pantyhose, then stir in oil. If you are adding essential oils, add them to the apple cider vinegar and allow them to sit for a few minutes, then stir vigorously. Pour apple cider vinegar into the flax gel/oil mixture.Allow the mixture to set in the fridge so you can tell what the final consistency is. If it’s too gel-like to be used in a spray bottle, dilute as needed. Place liquid in a spray bottle. Spritz onto dry or wet hair, then comb through. If the mixture is too thick it will spray as a stream rather than a mist. I think the thicker gel works better, so I just spray in the stream setting and then smooth over the hair. Allow the detangler to soak into the hair for 1-2 minutes, then comb through. Store in the refrigerator. Because it doesn’t not contain any preservatives, I make small batches and use within 3-4 weeks. 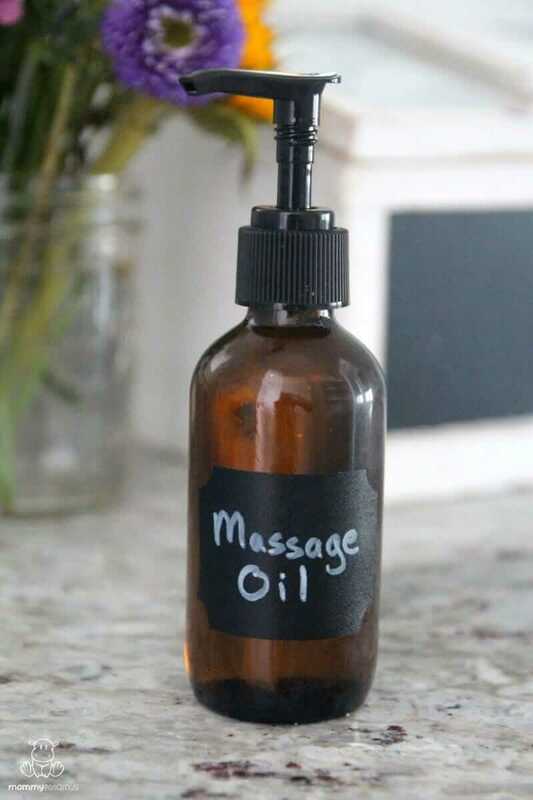 If you’re using essential oils, add them to the apple cider vinegar allow it to sit for a few minutes. Add the oil and stir vigorously, then add the water. I use 1/3 cup because we have hard water. Hard water is alkaline and therefore counteracts the acidity of the apple cider vinegar (ACV) – for that reason I keep the concentration of ACV pretty high in my solution. You may find that a more diluted version works well for you – add water as needed. This recipe works best as a leave-in conditioner applied after shampoo. Shake well before using then spritz thoroughly onto hair. Allow the mixture to sit for a few minutes, then comb through using a wide-tooth comb. I have never had a batch go bad, but because it doesn’t contain any preservatives I store mine in the fridge and use within four to six weeks. Overall, Shea Moisture Kids Hair Care Coconut & Hibiscus KIDS Extra Moisturizing Detangler has a very clean ingredient list that incorporates both marshmallow root and slippery elm extracts. The only ingredient I don’t love is the behentrimonium chloride, which is a conditioning salt that is used as a preservative. Of all the options I’ve looked at, though, it’s the best. Do you have a detangling tip? Please share it below! 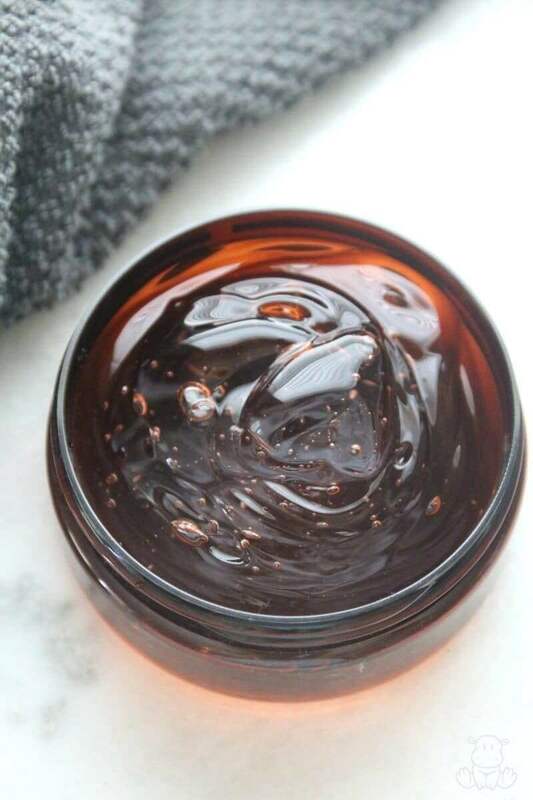 Y’all, I love my homemade honey face wash and its composition of gluconic acid and enzymes do amazing things – brighten skin, promote cell renewal, and balance pH to name a few – but it is not awesome at removing mascara. Apparently many of you have noticed the same thing, because in the past few weeks I’ve received several messages like this one . . .
Well, Stacia, I’m so glad you asked. Why avoid store-bought makeup remover? Although there are some good products out there – this one, for example – they can be pricey. Fortunately, the gentle, quick and inexpensive recipe below works just as well! This recipe fills one of these 4 ounce pump bottles. Pour ingredients into a clean 4 ounce bottle. 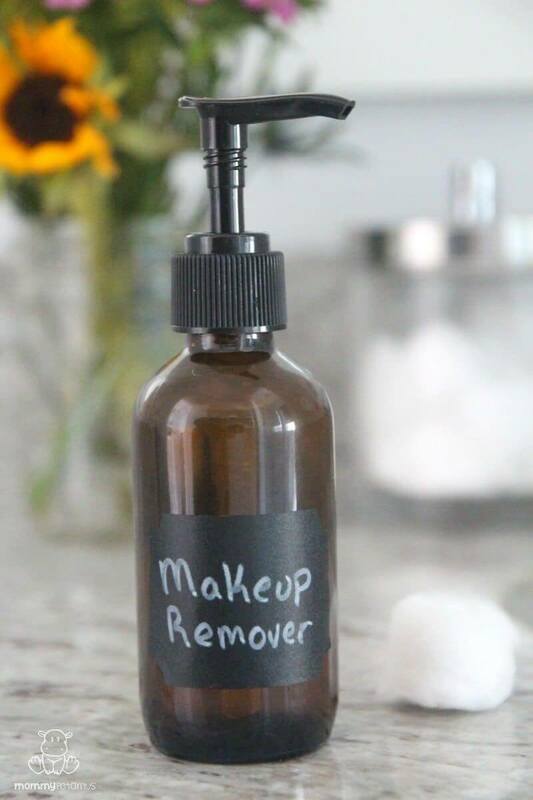 Shake bottle, then pump the makeup remover onto a reusable soft cloth or cotton ball. Wipe across your eyes and follow with the dry side of your cloth/cotton ball. Up to one year. Store in a cool, dry place. Our little one bursts into tears and we struggle to find the right words, or things are a bit rough with our partner and we debate on whether to lean into a conversation or tune out with Netflix. We crave connection more than ever, but with all the distractions of modern life it’s easy to let opportunities slip by. That’s why one of my favorite tools for connecting is a quick, five or ten-minute massage. It’s amazing how little ones relax as their little hands or feet are rubbed, and or the night is transformed with a partner . . . even if you do relax with Netflix later. 3. Connection – Massage helps us melt away distractions and reconnect on an emotional and physical level. They create a dewy finish that makes skin glow, and are made with 100% non-toxic, natural and/or organic ingredients. 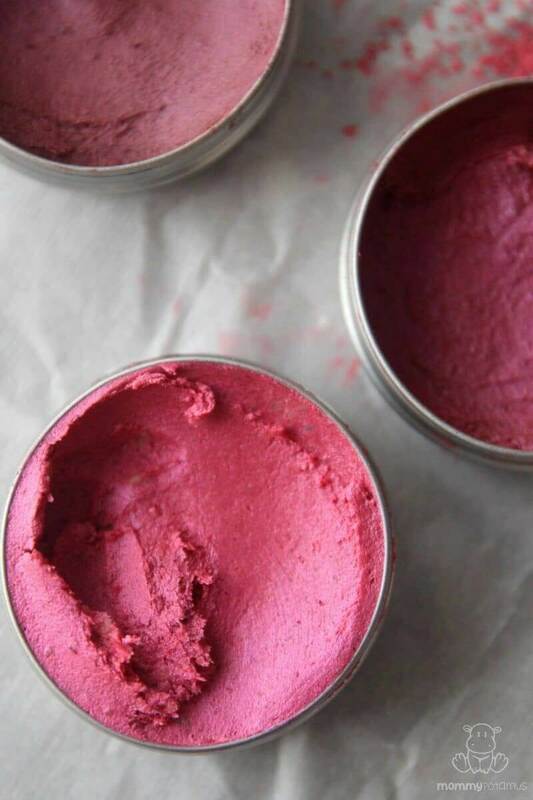 Also, if you’re like me and sometimes want more of a matte finish, you can use your leftover ingredients to make homemade powdered blush and this tinted lip balm. 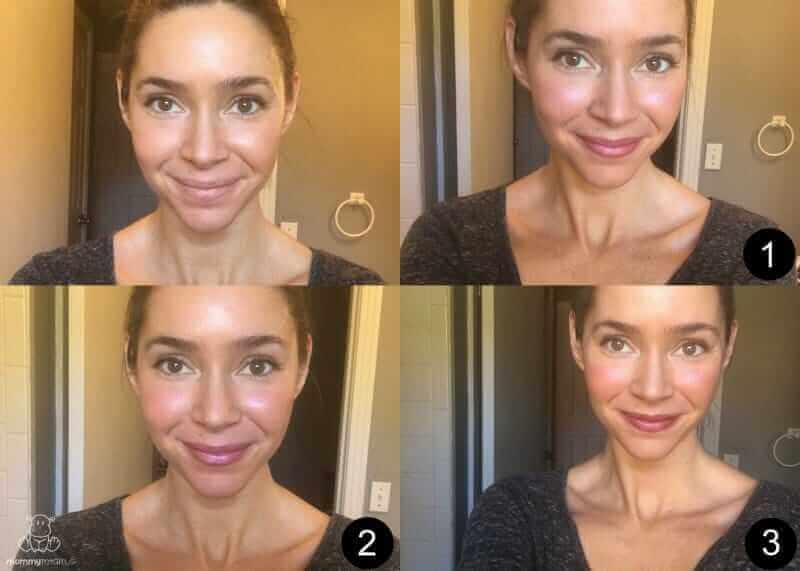 The tinted balm is more translucent than the recipes below (which are more like lipstick), making it perfect for light makeup days. 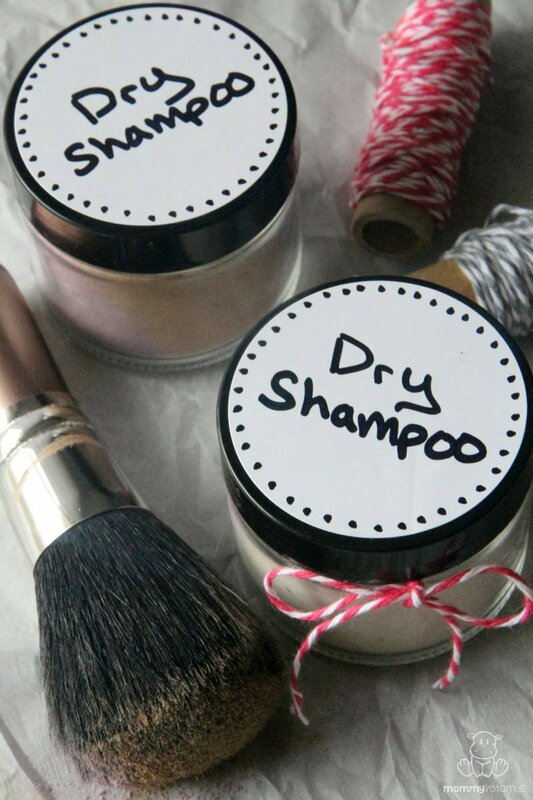 Inside: My two-ingredient DIY dry shampoo recipe, which I carry in my purse for those days when I don’t get to lather up my coconut oil shampoo bar and then realize I’m going to run into every single person I know. In my dreams, little elves clean my house every night while I’m sleeping, and I wake up with an hour to get ready every morning. In reality, leaving the house often means getting dressed in 10 minutes while simultaneously locating a pair of lost shoes and stating once again that pants are not optional. Showers, on the other hand, are oh-so-optional on those occasions. But that doesn’t mean I have to put up with oily, limp hair – and you don’t, either! Today I’m going to share my secret weapon for “washing” my hair on days I technically have to skip the suds. It’s called dry shampoo, and it can transform greasy, lifeless hair into locks that are fresh and full of body. Basically, it’s is a powder or spray that works by absorbing excess oils on your scalp and hair, leaving your hair looking freshly washed. It’s good for all hair types – oily, normal, and even dry when used sparingly. I use it as an alternative to traditional shampoo when I’m camping, traveling, or just busy. 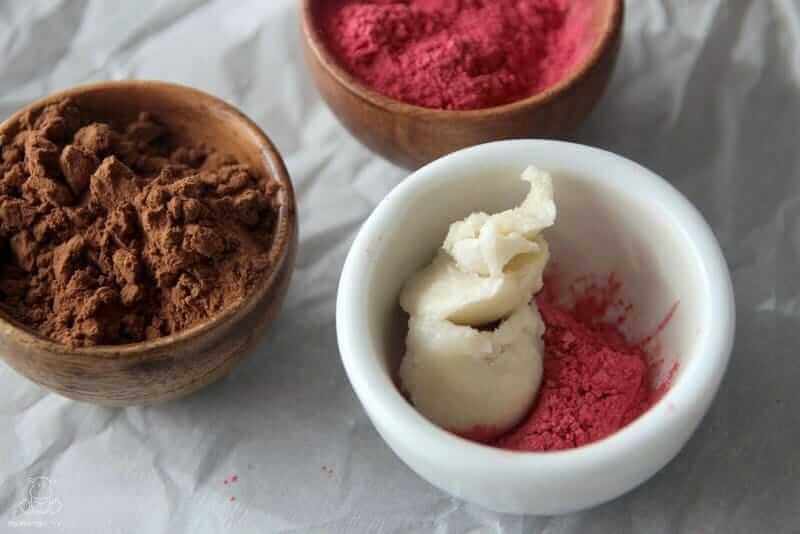 Add arrowroot powder/cornstarch and cacao/cocoa powder to a bowl and stir until thoroughly combined. Transfer to an airtight jar for storage. Before we get started, let me share my best dry shampoo tip with you: LESS IS MORE. Over-application can make your hair difficult to work with and/or look chalky. When used properly, though, it creates beautiful texture. 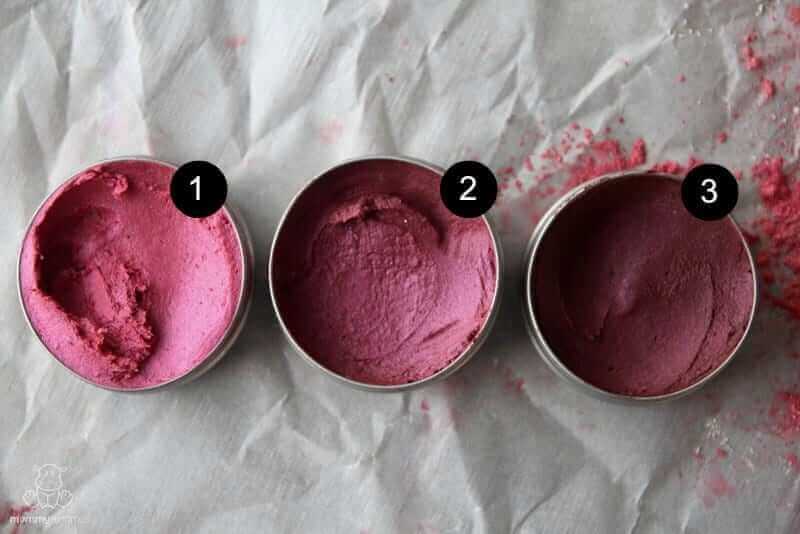 To Apply: Dip your makeup brush in dry shampoo, then tap to remove excess. Divide hair into sections and brush your roots, moving from the crown of your head down. Allow the powder to set for 2-3 minutes, then brush your hair from root to tip. This helps to distribute the powder throughout your hair as well as remove any excess. Now, run your fingers through your hair and look for oily places you may have missed. Spot apply as needed, then brush again. Ideally, you’ll want to give your hair 5-10 minutes to fully absorb the shampoo before styling, but if you’re in a rush go ahead and style immediately.